Every so often I come across a kitchen that is perfection. Perfection to me anyway. This one is a jaw dropper, don't you think? I mean, look at those cabinets! The detail is extraordinary. 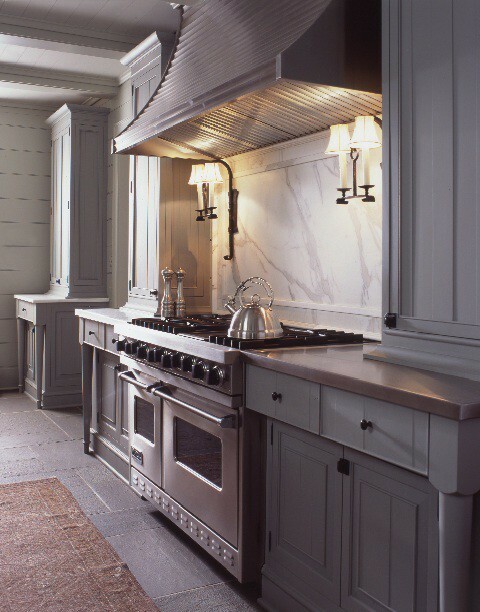 I'm also dying over the marble, range, range hood, flooring, planked walls and so on. The only little concern I have is how dirty the shades on the sconces will be. Hmmm... maybe they don't actually cook so it won't be an issue. You never know!